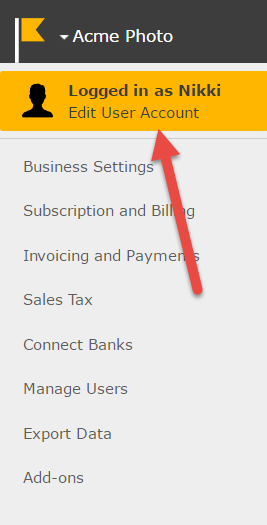 To get to your user account, click on Settings in the top right hand corner. Then click on Edit User Account. 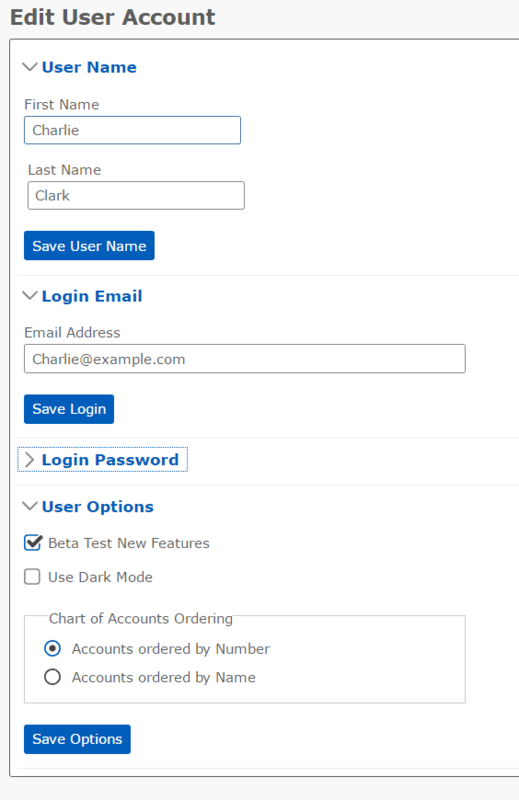 Chart of Accounts Ordering: Select if you prefer to see the chart of accounts ordered numerically or alphabetically.